Confidence Boosting Kids Martial Arts Classes at Port Jefferson Station's Expert Kids Karate School! "In Just 2 Weeks...I'll Boost Your Child's Confidence, Increase Their Self-Esteem and Teach Them Realistic Self-Defense...All While Having Fun!" Enter Your Name & Email to Access our Schedule and Amazing Web Special! Gain powerful tools they need for a bright future: Fitness, Fun, & Focus. It's more than just martial arts! The Anti-Bully Experts. 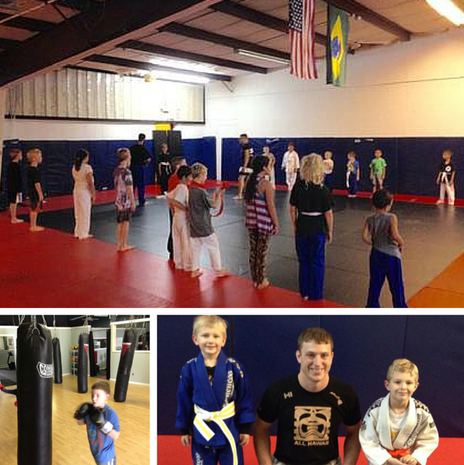 Our Kids Martial Arts classes Build Confidence, Respect & Realistic Self-Defense. Children in the Martial Arts are Less Likely to be Bullied because of the skills they learn at our Long Island Academy. Qualified Instructors. Our Martial Arts Instructors are dedicated to your child's success. Each class features multiple assistant coaches to ensure your child receives proper instruction and quality training in a safe, non-intimidating atmosphere. Clean, Modern Facilities. Our MMA training takes place on the North Shores largest Martial Arts and Kickboxing facility. Over 7,500 square feet devoted to your child's Jiu Jitsu & Karate training make it the best in Port Jefferson Station, NY. Realistic Self-Defense. Our Kids learn Mixed Martial Arts, a blend of Brazilian Jiu Jitsu, Muay Thai, Boxing, Kickboxing & Karate. Our Kids Martial Arts system is always evolving to bring your child the best in self-defense Long Island has to offer. What ages do you teach Martial Arts classes? Our Kids Martial Arts program is for children ages 7 and up. Kids will be broken up into age appropriate groups for their training where they'll learn karate, kickboxing and jiujitsu! My child has never trained in the Martial Arts, do you accept beginners? Of course! No prior experience is needed for your child to take advantage of our amazing training program. Each student is taught age appropriate material based on their current belt rank. Our Kids Martial Arts Classes are located at 600 North Bicycle Path, Port Jefferson Station, NY 11776. Call us at (631) 219-8965.